You need to have your physical (dated after June 1, 2018) on file by either uploading it to Family ID, or mailed to Woodbury School-Athletics, or drop it off at the main office or scan/email to one of the contacts listed below, or fax to 603-898-0634. Remember - if you've registered on FamilyID in the past, you do NOT have to re-enter all the data. After you've logged in under Spring Sports 2019, scroll down to the drop-down under "participant" and find your child's name. Update any data that may have changed from previous seasons (ie medical, emergency # etc etc). Welcome to the Woodbury School Athletics website. Woodbury School provides a comprehensive athletic program that complements the school’s academic curriculum. The athletic program at the Woodbury School consist of 13 sports and 15 teams that provide over 350 opportunities to participate in interscholastic athletics throughout the school year. The opportunity for participation in the athletic program at Woodbury School is a vital component of the middle school experience. Participation in the athletic program provides experiences, which allow our student-athletes to develop physically, mentally, socially, and emotionally. Spirit, pride, and sportsmanship are the backbone of the Warrior athletic program. These three characteristics have helped Woodbury School create a tradition of excellence that is second to none. Participation in the athletic program is a privilege that carries with it responsibilities to the school, the sport, the student body, the community, and the student-athletes themselves. These responsibilities focus on commitment, teamwork, preparation, dedication, and the establishment of high standards for conduct and attitude, all of which enhance our spirit, pride, and sportsmanship. Help us in continuing this great tradition at Woodbury by being great fans and supporters of our athletic teams. Woodbury School is a member of the Tri-County League. The Tri-County League consists of more than forty schools in southern and central New Hampshire. To check up to date standings in all sports please go to their website at www.tricountyathletics.org. 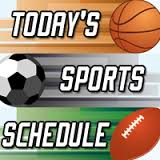 If you have any questions about a sport, please call the coach at 893-7055 or email them. Contact information for all coaches can be found on the Coaches Directory page.